Only once in the history of the North-Western International Rowing Association (NWIRA) has a ‘foreign,’ non-Association, club walked away with the treasured Sir Thomas Lipton Cup. In 1966, Chicago’s Lincoln Park Boat Club made off, some would say like bandits, with the prized trophy. The Duluth Boat Club hosted the regatta, and everyone was happy about it. A few years prior, the club had lost their boathouse and much of their equipment in a devastating one-two punch of fire and high winds. True to form, the citizens of Duluth had stepped up, generously giving their time and money to revive the sport. Duluth’s oars were finally beginning to feel some purchase on the water again when six visiting teams descended on 3913 Minnesota Avenue, the site of their spanking new Quonset-style boathouse, to race over a mid-July weekend. St. Paul’s Minnesota Boat Club (MBC) was heavily favored to win. Karl Twedt, temporary custodian of the Sir Thomas Lipton Cup, dutifully crated and transported the trophy to the regatta site. His crew had been training hard and had every intention of ushering the cup back down to Raspberry Island. Minneapolis arrived with an abundance of scrappy courage and determination, enough to compensate for their lack of strength and skill. After several seasons of inaction, Minneapolis had not regained their set; they would come in last place in all but two events over the course of the weekend. Chicago’s Lincoln Park Boat Club was there too, competing in the historic NWIRA for the first time, with a strong aggregation of veteran juniors and Jose Casada, their spirited Argentinean coach. Canada was well represented by Fort William, Kenora, and Winnipeg. Art Rinker of St. Louis was not able to officiate. In his place, Duluth appointed Les Ingo of Kenora as Assistant Referee and A.O. ‘Sox’ Whiteside as Chief Advisor. In retrospect, these were questionable choices. Things took a turn to the dramatic during the third event, the Junior Heavy Double. Kenora and St. Paul had fielded two boats, Fort William one. The second St. Paul and Kenora boats trailed behind the other three battling aggressively for non-point-scoring fourth place. With one quarter of a mile to go, the referee following the race abruptly veered outside of the course and powered ahead to observe the two leading crews. (His son was in the first Kenora boat.) With eyes focused on his progeny, the referee did not notice the St. Paul boys inadvertently aim their bow directly at a line of sharp rocks. The crowd erupted in shouts and hollers in an attempt to warn the St. Paul crew. Focused intensely on securing fourth place, MBC mistook the warning calls for cheers and drove their fragile new shell at top speed into the rocky shore. The St. Paul double on the rocks. St. Paul held a comfortable lead at the end of the first day with 111.5 points to Fort William’s 74.75, Chicago’s 64, Winnipeg’s 14, Kenora’s 9, and Duluth’s 4. Minneapolis had no points. On Saturday morning a crosswind blew across St. Louis Bay, whipping up a little turbulence. Conditions would deteriorate throughout the day. The Junior Lightweight Eight saw St. Paul, more than other crews, struggle to find their set in the rough water. By the halfway point, the light MBC crew had pulled it together, had some momentum, and began to gain on the leaders. Suddenly, an official’s launch, for unknown reasons, collided with their shell, throwing the boys sideways, and taking them out of competition. Chicago’s ‘juniors’ won a clear victory, Duluth finished second, and Minneapolis finally had points beside their name for a third-place finish. Conditions were too rough for singles so host club Duluth requested all remaining events be held on the calm, alternate, lakeside course. Race officials Ingo and Whiteside responded with a definitive ‘No.’ No, the regatta would continue on the blustery waters of St. Louis Bay. The order of the remaining four races had been switched up in response to the rough rowing conditions, but Clerk of Course, Dale Hartzell of Minneapolis, was either unaware or unwilling to acknowledge the change and attempted to run the regatta by the official schedule. Confusion ensued. The final races were postponed until Sunday. On Sunday morning, the course was somewhat choppy but still rowable. The day’s races commenced with Winnipeg’s only victory: Gary Whyte beating St. Paul’s Jim Mohs in the Senior Lightweight Single. The cross wind increased during the next two events. Finally, it was time for the Senior Heavy Eight, worth 37.5 points. 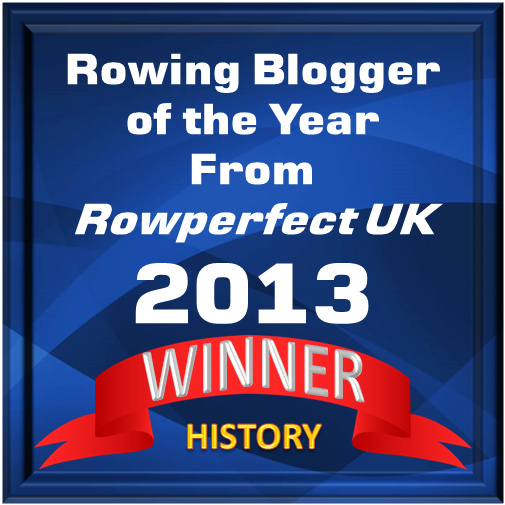 This was the last race, the regatta’s signature event, and the event upon which the regatta championship rested. Chicago was now in the lead with 161.5 points to St. Paul’s 148.5, Fort William’s 123.25, Winnipeg’s 26.5, Kenora’s 21, Duluth’s 16, and Minneapolis’ 12. If St. Paul won the Senior Eight they would be regatta champions; if Chicago won, the Lipton Cup would travel to the windy city. The water was extremely turbulent. Duluth again requested that the last race be held on the calm, alternate, lakeside course. Ingo and ‘Sox’ again refused. The crews made their way to the start, cutting across the bay at an angle in an attempt to keep water from schlepping into their boats. Fort William and Chicago fared better in their newer shells. St. Paul battled through the St. Louis Bay chop in ancient, low-riding boats. Seeing the crews struggle, official starter Gladstone Hill refused to start the race, declaring the water unrowable. Ingo echoed Hill’s sentiment and declared ‘No Race.’ But Chicago and Fort William would have none of it. They appealed with an extensive plea, imploring the race officials to not cancel the race. Ingo finally relented. Yes, the crews could proceed, but they would be ‘on their own.’ Nobody knew what that meant, exactly. The crews made futile attempts to hold their positions while waiting for the start. When it came, Fort William and St. Paul took off while Chicago remained, furiously bailing out their boat. They claimed they didn’t hear the start. Ingo stopped the race and herded the crews back through the swirl and chop to start the race a second time. By now, St. Paul’s senior shell was up to its gunnels in the St. Louis Bay. After the second start, MBC’s senior crew, having taken on their weight again in water, managed to secure a 1/2 length lead at 1/4 mile in when their shell completely submerged. Three boats remained. The lighter St. Paul crew rowed cautiously, maintaining its place behind Chicago and Fort William. When the ref’s following boat approached too closely, the judge advised the driver to reverse the motor to avoid swamping MBC. But instead of dropping back, the driver advanced his 100 horse-power motor full-throttle throwing a wash over the MBC crew. This was more than the light sectional MBC eight could withstand. It sank. Two boats remained. The official’s boat then caught up to and followed Chicago and Fort William. Their newer, higher-riding shells had filled with water more gradually, and it wasn’t until they were within sight of the finish that they too went under. Quick-thinking Fort William swam its shell to shallow water, emptied it, climbed back in, and rowed across the finish line in the wake of the refs launch, which had motored ahead to notify the Judges that this was a ‘No Race.’ The Chicago crew followed Fort William’s example, crossing the finish line next while the two MBC crews frantically tried to save their shattered equipment. This time Duluth’s request warranted a formal meeting of the NWIRA executive committee. Peterson, Whyte, and Haight voted ‘yes’ to a rematch on the calm alternate course. Browne, Casadas, and Ingo voted ‘no’. The deciding vote was in the hands of Ohme, who voted ‘no.’ The race would not be rerun. The committee then voted to not award the Lipton Cup Championship Trophy but to leave it with the previous year’s winner, St. Paul. The meeting adjourned 10:15 a.m. with a pronouncement of Non-Determination of a Regatta Championship Club. Throughout Sunday’s hullabaloo, the lakeside course remained calm. After some time had passed, St. Paul’s Lipton Cup custodian (aka the editor of Rowing Shorts) drove with a few younger members to fetch the trophy, unaware that the executive committee had decided to hold a second meeting. As the St. Paul boys carried the encased trophy outside to load it into Twedt’s car, the entire Chicago delegation, including Coach and Executive Director Casadas, surrounded them, firmly guiding the case to the ground. The Chicago contingent then surrounded the trophy. A large Lincoln Park oarsman sat on top of the case. MBC was bewildered. 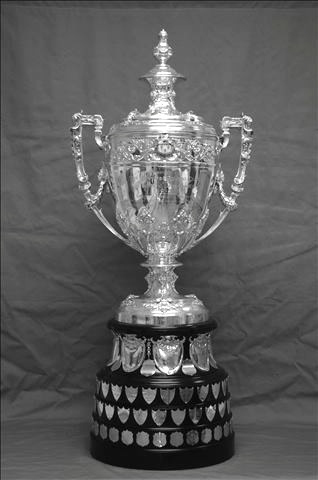 Association President Coventry arrived on the scene to inform Twedt of the second meeting at which the directors had voted to retain the trophy in Duluth until a formal meeting of the Association could be held to determine The Sir Thomas Lipton Cup’s ultimate retention. Twedt accepted the decision, but it was deeply unsatisfying to Casadas, who stood with a copy of NWIRA regatta rules in hand. Casadas thrust the document in front of Coventry pointing at the paragraph which stated clearly: ‘the regatta championship trophy shall be awarded annually to the club with the highest point total at the conclusion of the regatta.’ Chicago didn’t budge. Chicago’s crew was unrelenting, on the Sir Thomas Lipton Cup like flies on honey refusing to be brushed away. They had earned the most points. They had earned the trophy. Of this, they were righteously sure. Coventry finally caved. Yes. Yes he would award the trophy to Chicago, and would the editor of Rowing Shorts please be the official witness? He was a witness to a deliberate infraction of the rules, a deliberate disregard for the considered ultimatum of the meeting of the Executive Directors (of which naturally both Mr Casadas and Dr Coventry were members). To the editor of Rowing Shorts the horrible example of inefficient and biased officiating as exhibited by the ref, his advisor and the clerk of course constituted a terrible blow at the sport of Rowing, which is so generally upheld as one of the finest, most honest and most amateur sports in the world. The Concerted drive to get St Paul instead of just open and honest races was a nauseating exhibition of the extent to which human beings will debase themselves. The open flaunting of the very rules of this old Association by these Johnny Come Lately members one of whom – Chicago – had been patiently brought into the group by the editor of Rowing Shorts in accordance with a request by the Association, caused a sickening feeling. 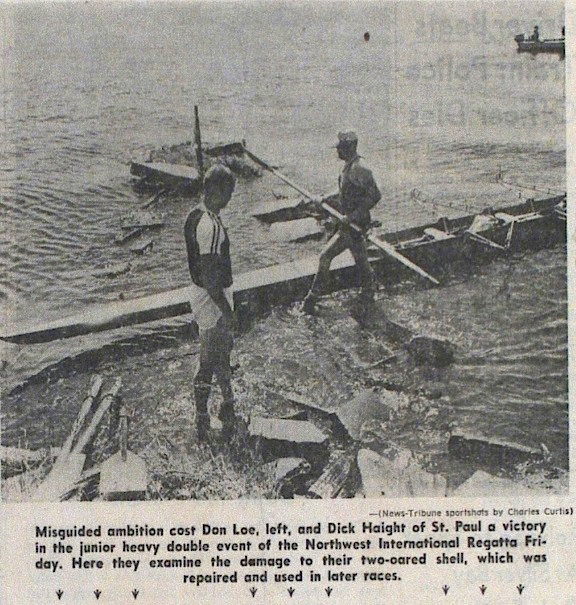 (Twedt, August 6, 1966 Minnesota Boat Club Archives). The St. Paul oarsmen refused to accept badges for their 1966 NWIRA wins; the medals would only remind them of what they felt was horrible and unfair treatment. Chicago’s Lincoln Park Boat Club loaded the coveted Sir Thomas Lipton Cup into Jose Casadas’s car. It was theirs to enjoy for the coming year, hard-fought and, very technically, rightfully theirs. 1) 1966 NWIRA Regatta program, p 5. 2) All lightweight events at the 1966 NWIRA required athletes to weigh no more than 150 pounds. 3) Twedt, Karl. 1966, August 6. 1966 North Western International Rowing Association Regatta summary, p. 6. Minnesota Boat Club Archives.